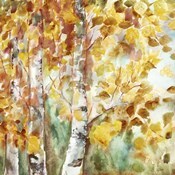 Aspen art will delight any person who loves nature. Their illustrative quality is a much needed addition to any bland decor. This kind of artwork is well known for its vivid and striking detail. “Aspen Abstract Journal” by Bruce Heineman is a fantastic example of aspen tree art that brings out the bold blend of symmetry and color contrast. Trees in their various seasonal natural transformations present a unique photographic element when captured on camera. Whether it is the red leaves of autumn or lush green of spring or even the bare barks of winter, aspen prints complement really well with their surroundings. Aspen wall arts can also be used to hide unfinished wall work or accidental blemishes as you wait to correct the anomaly. Having selected your preferred aspen wall art with an all-embracing beauty, you may need it to reach you with your desired mounting. You have a number of options that would complement the art piece. Frames are available in different styles. If you prefer customized framework there are affordable market prices. For a more contemporary finish, aspen paintings can be put up as pin-ups. Lamination of your art prints also ensures that durability is emphasized since it protects them from dust, finger prints and spills. A canvas finish gives a more artistic and museum or gallery-like aura. Whatever the required finish, personal choice and flexibility remain equally paramount. Before you order a portrait shaped print for your wall at home, a landscape shaped one for office foyer or a miniature custom finish as gift to a friend or a loved one, you may also have to consider the space on which to display the print.